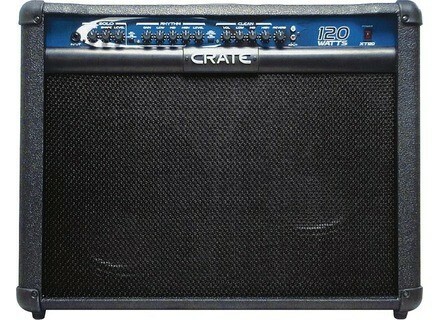 XT120R, Solid-State Combo Guitar Amp from Crate. I bought this amp from Guitar Center after having tried it out with a Gibson LP Studio guitar. It had the kind of "crunch" tone I was looking for in a gain channel with excellent note definition that allows you to hear the separation of each individual string without any harshness when playing any two notes or six notes together. I was equally impressed with the clean channel. Amazing clarity and bell-like tone for the highs and mids with enough "presence" and "fullness" that are difficult to find in a solid state amp. And the bass is beefy enough yet isn't muddy, but clear that would definitely rival a tube amp. The clean channel takes pedals exceptionally well, too. The fact that it has a third channel for soloing was an added feature that has tremendous range in tone that can take you from Classic Rock tones to Heavy Metal. Punching through the mix of a four-piece group is no problem with this amp. You will hear yourself among the other musicians with no problem at all. This amp never ceases to amaze me. I will say the reverb is not the greatest. I keep it on level three or lower. Any higher and your ears get tired of the effect. Which is no big deal, because I prefer delay more than reverb anyway. Another added plus is the 3-button foot switch that comes with the amp. Overall, it is my amp of choice. And I've tried everything from a Marshall JCM 2000 to an Ibanez Tone Blaster and a Fender Twin. 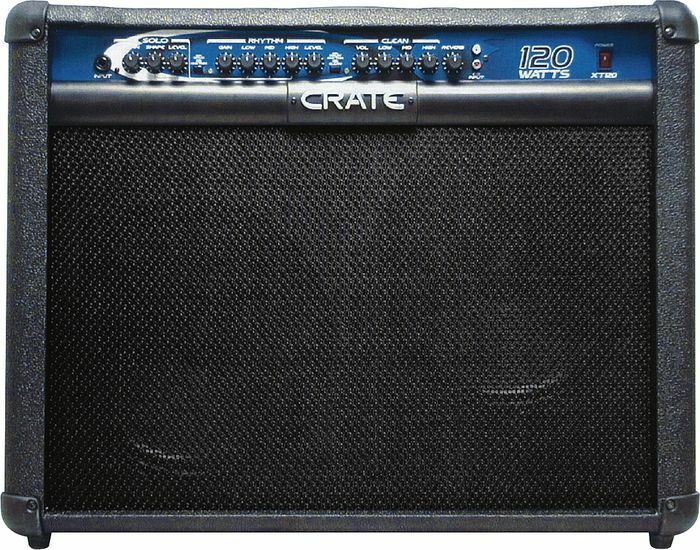 The Crate XT120R is incredibly versatile with the tone and volume that I need for both rehearsal and live gigs at small to medium size venues. Who knew that a little known amp could do so much for such a little price. Now, of course the kind of guitar you have with the kind of pick ups you use will make a difference in your tone and overall sound. For the Les Paul Studio I use it is a match made in heaven. I have not found any other amp or guitar combination that works any better for the style of music I play. And I have played a lot of different styles in my day. Well done Crate!